Clink clunk clink….dawn is close to breaking, the sun is barely coming up and across the gully between our two bush houses, I hear the clink of ice being put in a thermos for the day’s drinking water. 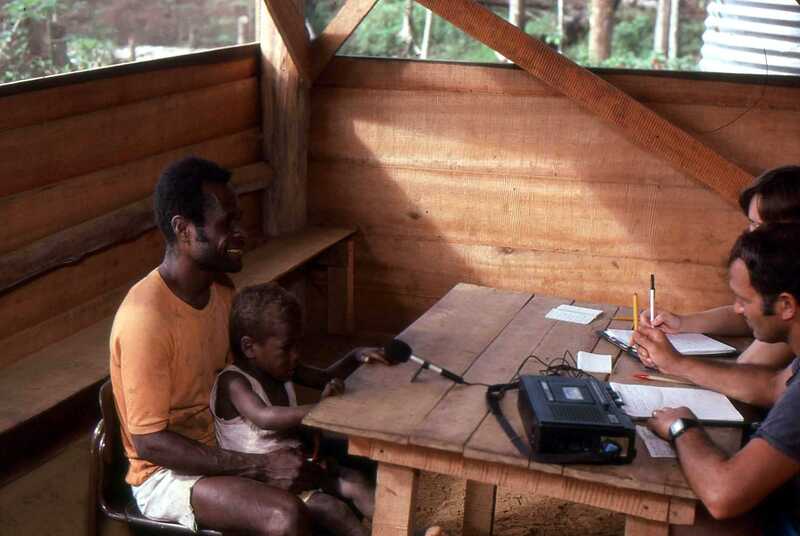 It is 1984 and we are in the Mouk village of Gigina on the island of West New Britain, Papua New Guinea. Our coworkers are up and at w ork. They breakfast early, ‘red up’ the table and continue their study of the Mouk language. Mark and Gloria worked hard; after all, said some, at 35 they were a bit old to learn a language. Our part in the Mouk work was temporary. 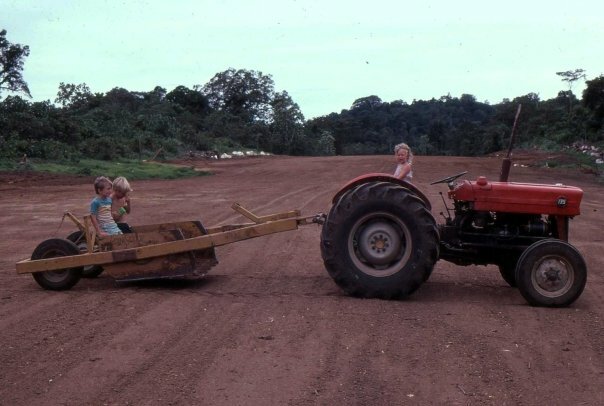 My husband Kim built the airstrip and I did medical work; when the airstrip was completed we headed off to another village to do the same thing. Across the island in the Yombon hamlet of the Asengseng people group, we rejoiced when we heard via our two-way radio the news that the Mouk believed the truth of the Gospel. Many years later, in 2011 we were back in PNG helping where we could. One of the Mouk men who was visiting Hoskins town where we were living handed Kim an envelope with a letter of thanks and a one hundred kina note for the work Kim had done in building the airstrip. To say we were humbled would be an understatement. We were touched by the sacrificial gift – a way to show their ‘tenk yu tru’ for something done years ago. It seemed to us to be another evidence of God working in their lives. Later that year we flew into the Mouk village of Gigina for a weekend. As the plane landed on the small airstrip, a midweek church service had just finished. The people came to greet us, the women with Bibles on their heads. Those Bibles, by the way, were translated into the Mouk language by those ‘early to rise, hardworking people’, Mark and Gloria. Now, more than twenty-five years later, the next generation in the village was reading their Bibles and faithfully following God. So much had changed from the time long ago when we had lived with them. Fear of the tumbuna was gone. Family relationships were healed. Husbands were kind to their wives. Children were learning to read. There was a school, a church and a medical building. We visited with the people, telling them about our family and hearing about theirs and we laughed together as we remembered the olden days when we were young and our children were little. 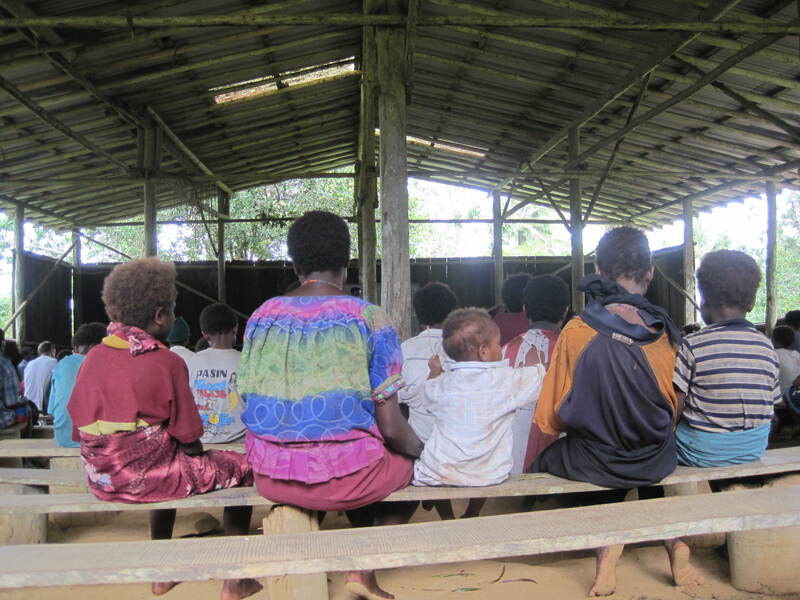 And then we had a good time worshiping with them in their dirt floor, plank walled church building. As we chatted about life in general and the things important to us, one of the women said to me, ‘Life here is hard but we are trusting God every day.’ I thought of that as I got on the plane to leave. I was going back to a clean house in town with running water. There would be bought food which I could prepare on my stove – or perhaps microwave and I would be sleeping in a comfortable bed. My Mouk friend would be walking a mile or two to her garden for food which she would cook over an open fire, bathing in the river and sleeping on a stick bed in her thatch roof house. Her life was hard but her faith strong. She was clear and emphatic about that! There is no question that God’s truth had brought hope, joy and freedom to these people. Just weeks ago, Mark passed away after a short battle with cancer. All of these memories came dancing across my mind – the challenging and blessed beginning days, the early mornings, the hard work, the reward, and the continuing faith. I think of Mark and his split second journey across the ‘gully’ to his new heavenly home. He has joined the many Mouk believers who have gone on before – all a part now of a great cloud of witnesses from various tribes and tongues and people and nations singing praises to God in a place not bound by time, limited by language or touched by sorrow. With complete joy and hope realized, they are at home with Jesus. For them the beginning of Forever is at hand.